Capitalists@Work: Did The Earth Move ? Did The Earth Move ? After all the bed-wetting amongst the green fraternity occasioned by two tiddly earth tremors in the Blackpool area after Cuadrilla went prospecting for shale gas, it's amusing to learn that geologists reckon Carbon Capture & Storage will cause earthquakes too. Now hydro-electricity dams are fairly well-known to cause earthquakes as well. 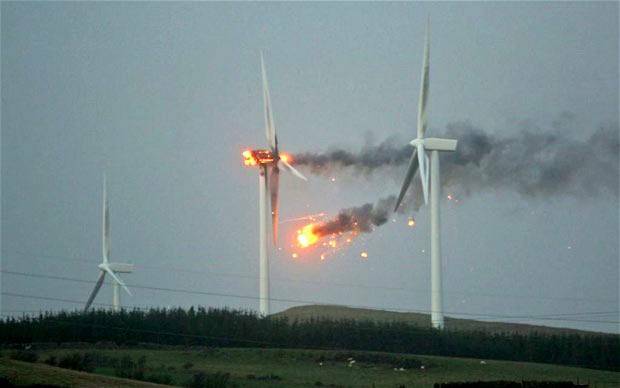 So if we can just demonstrate that nukes and windfarms do the same ... a level playing-field ! What every green technologist claims to believe in. A good weekend, and triple* subsidies all round ! I say bring on the earthquakes. Just getting that apocalyptic mood going. I remember reading an interview with a local resident of Romney talking about the future of Dungunesse who said something like: "...sometimes you feel the ground moving like its bubbling but other than that we wouldn't know its there. A new nuke gets my blessing..."
It was from one of the local newspapers, but I forget which one. If government were successful at complicated and safety critical procurement (I know from personal experience that they are not), then government control of safety for Nuclear power stations would make sense. But it doesn't. So in the circumstances I am not surprised that power companies demand some sort of financial back-up for Nuclear to cover these government induced costs. Subsidies to Wind and Solar are completely different. In these cases the government is imposing a solution, not a (nominally 'safety') process, for purely ideological reasons (it's 'green'). On any commercial examination, whether financial or strategic, no power company would adopt Wind, or Solar in this country. Nuclear is similar in cost, even with modern safety requirements, to Coal, Oil and Gas (at current prices here). So for both cost and strategic reasons (ie stable costs, not at whims of foreign potentates, striking miners etc) it makes sense to make Nuclear the predominant provider of base load. When are they going to frac in lovely Cheshire and it is well known for salt mining and apparently oil tends to be found under salt deposits in other parts of the world. Can't we reopen our coal mines ? I've heard there is a clean way of burning coal.